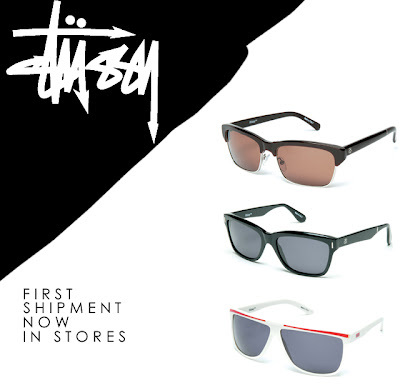 2008 STUSSY SUNGLASS COLLECTION NOW ARRIVING IN STORES! Posted on May 7, 2008 at 3:05 pm. Stussy’s eyewear collection is back for 2008 with brand new manufacturing and a high-end feel. These Italian handcrafted pieces epitomize Stussy’s streamlined approach to style, quality and dialed in design aesthetic. Solid throw-back pieces with a rich feel for the summer of 2008. First shipment now available at 17th Avenue, Shawnessy and Kensington locations in Calgary.